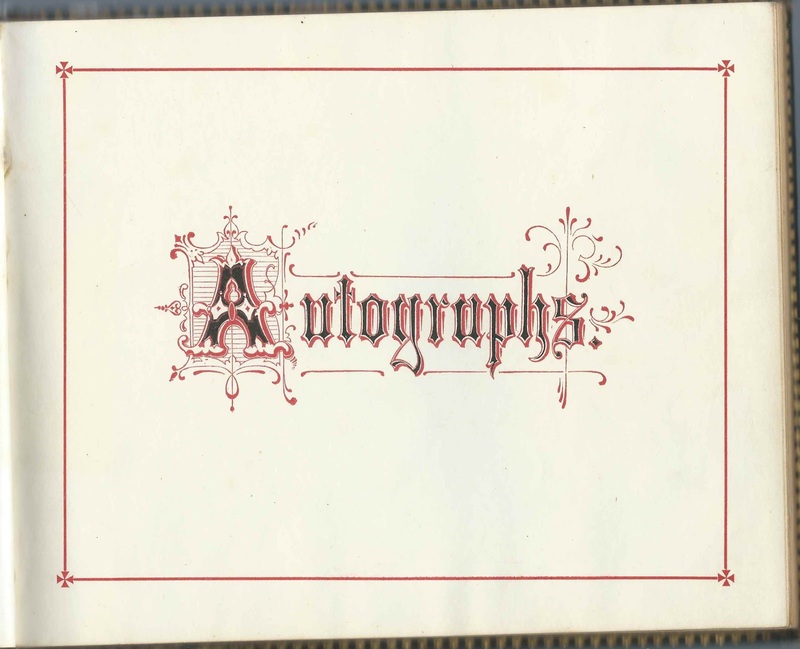 Autograph album that was given to Elizabeth E. Dickerman, "Lizzie", of New Haven, Connecticut, by her father Chauncey Alling Dickerman on December 25, 1869. The inscriptions run through 1871 in Connecticut and Ohio. Sadly, Lizzie died in 1872. The landscape-format album measures approximately 8-1/2" by 6-3/4" and contains the sentiments of over 30 of Lizzie's relatives and friends in Connecticut and Wooster City, Ohio, where her family appears to have had a connection. According to her Find a Grave memorial, which doesn't offer photographs or sources, Elizabeth Ella Dickerman was born May 27, 1848 at New Haven, Connecticut. Other places show her middle name as Ella. If a reader has a birth record, please leave a comment or contact me directly. Lizzie's parents were Chauncey Alling Dickerman and Nancy Sarah (Bronson) Dickerman. 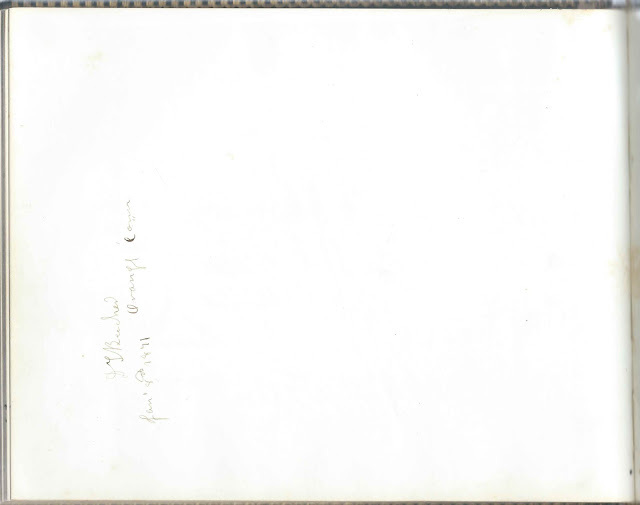 In addition to the presentation page above, Chauncey inscribed another page at New Haven, Connecticut, on March 12, 1870. Lizzie's mother Nancy did not inscribe a page, but her parents, William A. Bronson and Frances Adeline (Howell) Bronson of Orange, Connecticut, did. 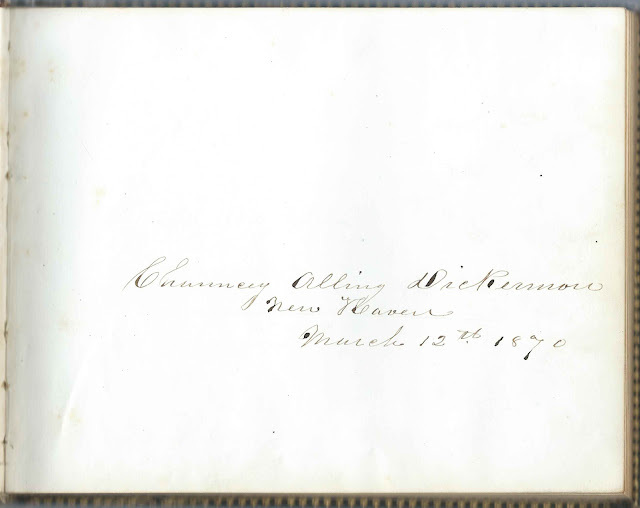 Lizzie's brother Robert Charles Dickerman inscribed a page on January 27, 1870 and may have been the R. C. Dickerman who inscribed a page on November 19, 1870 at New Haven, Connecticut. 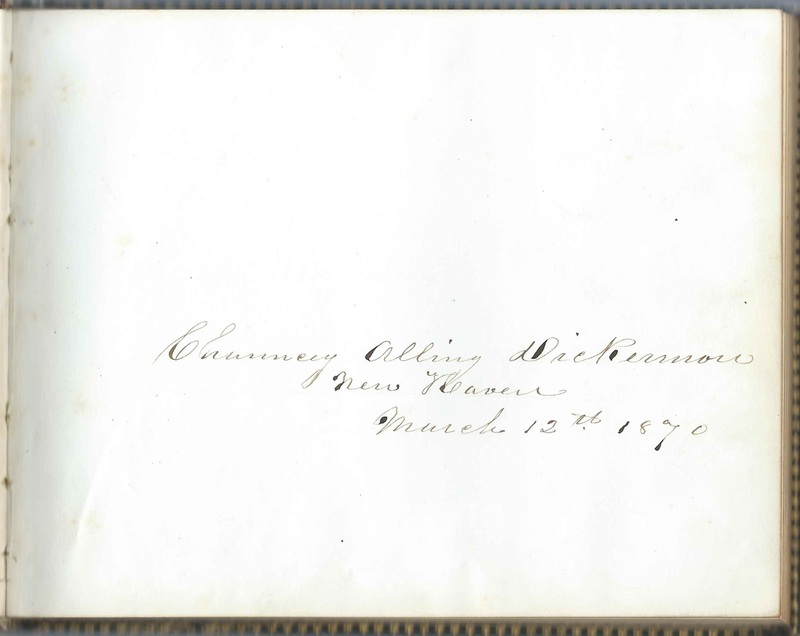 A piece of cardstock with the name C. A. Dickerman of Wooster City, Ohio, and the numerous inscribers from Wooster City, Ohio, makes me wonder if the Dickerman family visited Ohio or moved there briefly or perhaps had earlier been involved with the Connecticut Western Reserve. Perhaps a reader will have more information. 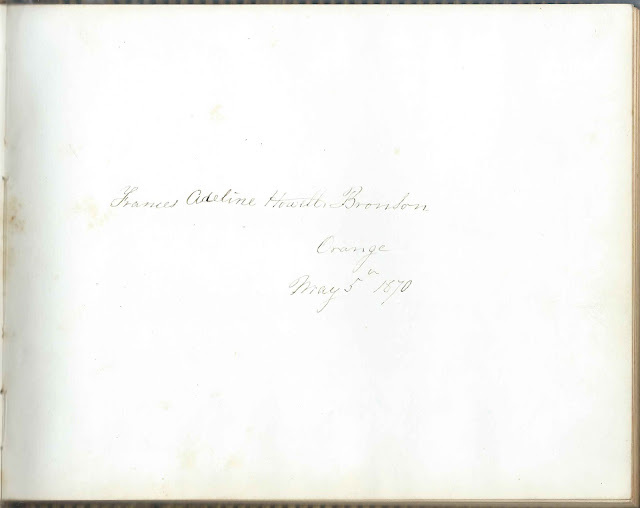 D. T. Beecher of Orange, Connecticut; inscribed on January 8, 1871. Presumably Daniel Treat Beecher, husband of Mary Ann (Dickerman) who was a sister to Lizzie's father Chauncey Alling Dickerman. 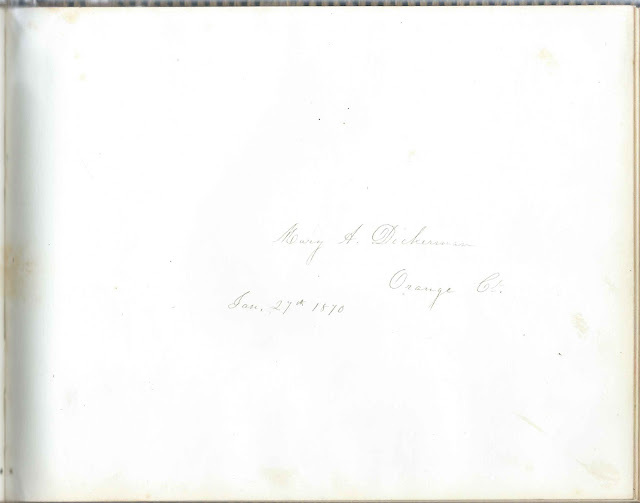 Cardstock made into a calling card of C. A. Dickerman of Wooster, Ohio. Possibly for Chauncey Alling Dickerman, though he appears to have been at New Haven, Connecticut, during the U.S. Census enumerations. 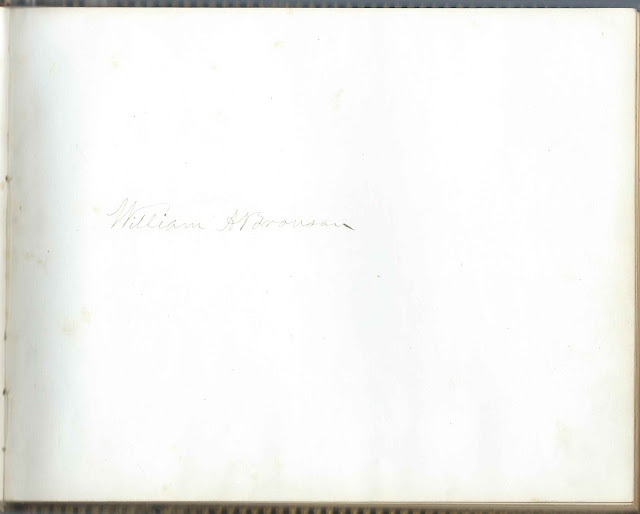 Chauncey Alling Dickerman, father of album owner Elizabeth Ellen Dickerman, "Lizzie", to whom he presented the album on December 25, 1869. 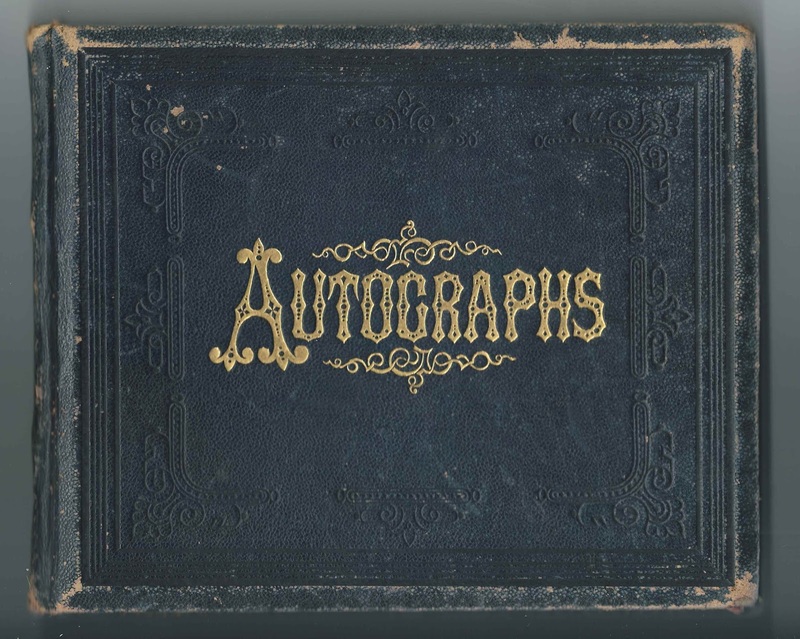 He inscribed the presentation page and an individual page at New Haven, Connecticut, on March 12, 1870; was the calling card enclosed in the album for C. A. Dickerman of Wooster, Ohio, his? Lizzie E. Dickerman, album owner. Elizabeth Ellen Dickerman, "Lizzie", was given the album by her father Chauncey Alling Dickerman on December 25, 1869. 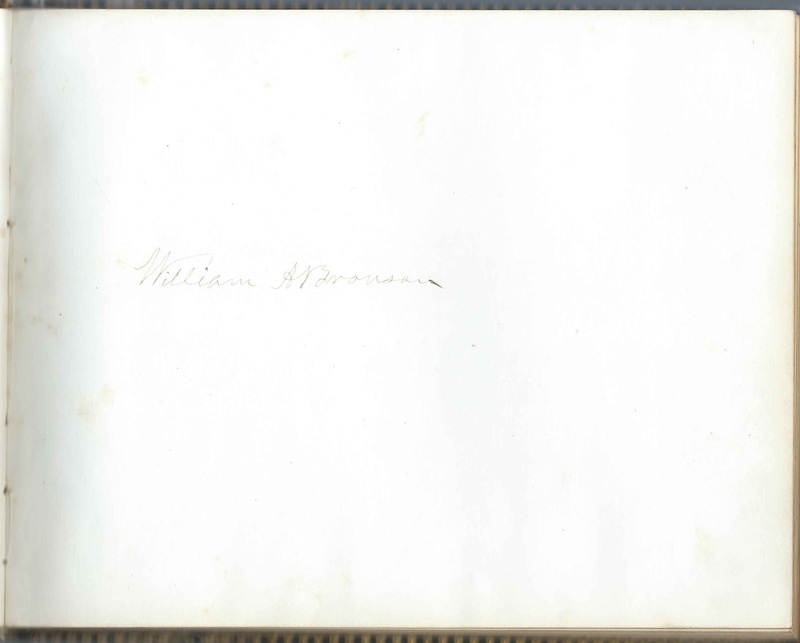 Mary A. Dickerman of Orange, Connecticut; inscribed on January 27, 1870, a few months before her marriage to David Treat Beecher, who inscribed the left facing page. I. W. Fogleson, or J. W. Fogleson, of Wooster, Ohio. 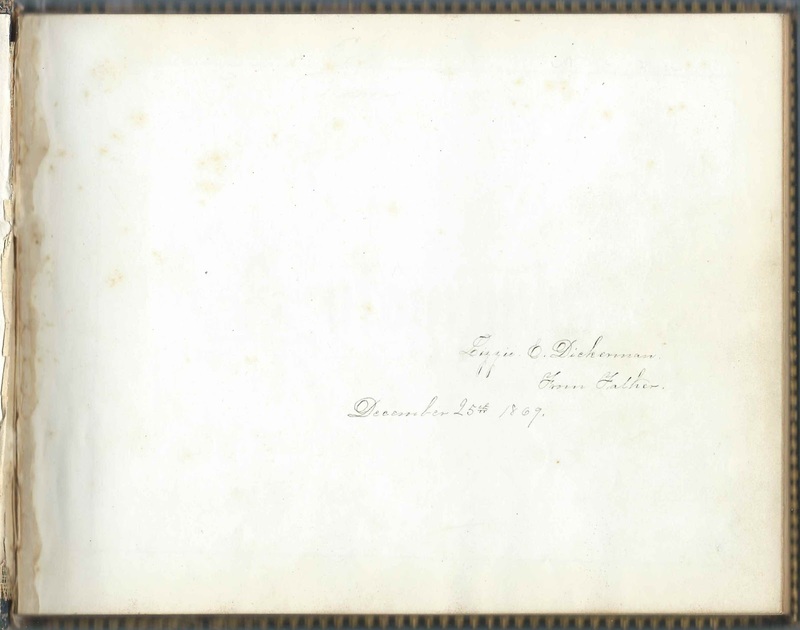 If I. W., perhaps Irving W. Fogelson. 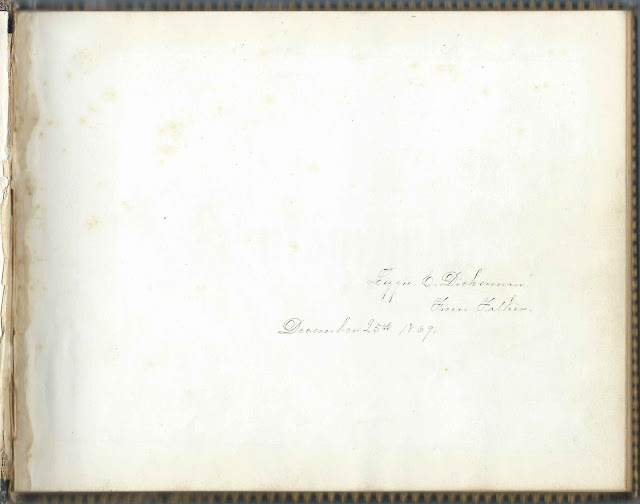 Anna M. Leyburn of Wooster City, Ohio; presumably the Anna M. Leyburn of Wooster City, Ohio, who inscribed another page. Lizzie F. Sherwood of Southport, Connecticut; inscribed on March 17, 1870.